Sunrise Hotel Isfahan is in the oldest neighborhood in the heart of the historical city of Isfahan near to Jame mosque and Atigh Sq. It was inaugurated on 07.13.1390. 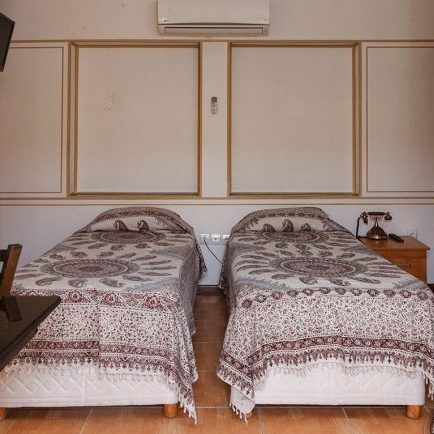 This suite accommodation has 12 traditional rooms, equipped with 32 beds on two floors around a central courtyard with its water fountain pond .the breakfast room, both indoor and outdoor sections; with capacity of 36 guests has an interesting atmosphere. Other features of the hotel: wireless Internet, covered parking, taxi service, traditional teahouse with a pleasant atmosphere and traditional music.